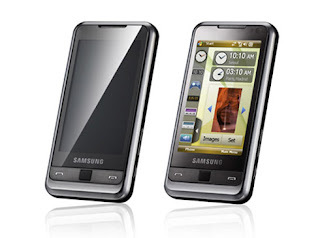 Samsung OMNIA a latin word meaning "Everything" well by that word you already know what this mobile phones up to, you can call it a video cell phone, a camera phone, gsm mobile phone, maybe you can consider it to be a pda phones, some say this Samsung mobile phone is iphone killer because of EVERYTHING this mobile has. 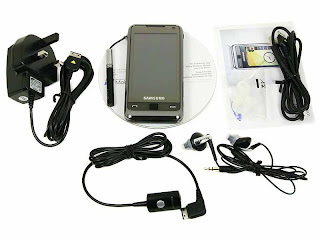 This Samsung omnia camera phones is a 5-megapixel CMOS with auto-focus (AF), face and smile detection and auto-panorama shot. 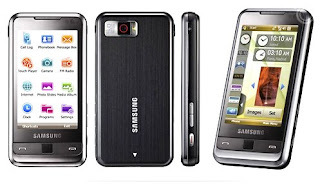 Samsung OMNIA comes with either 8 or 16GB memory and additional storage can be added with its slot. Samsung omnia also has GPS, including navigation and geo-tagging capabilities, so you will never get los t wherever you are.